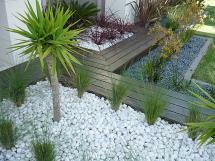 Pebbles are a great addition to any garden area, the ming snow white range is incredibly versatile. 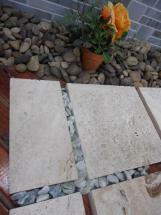 Travertine Tile in the colour Dali with a lovely Brushed and Filled finish will create an amazing wall or floor area. 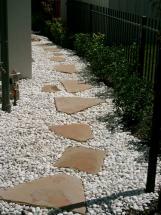 Travertine Tile in the colour Light Medium with a lovely Tumbled and Unfilled finish is great around the house.